I have some cool cousins and their Halloween costumes ideas from last year are pretty clever. 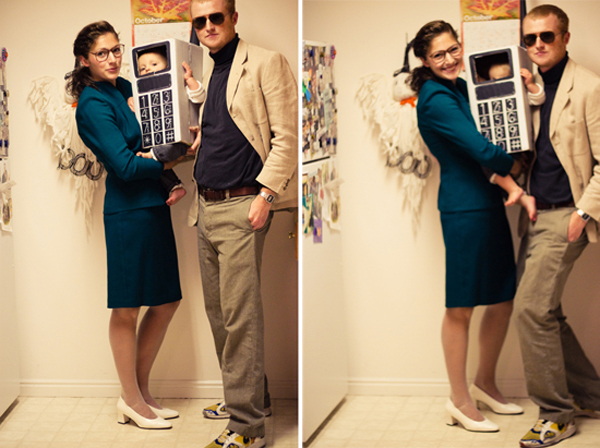 My cousin Abe and his wife Andrea dressed up as an 80's power couple, gotta love that cell phone! 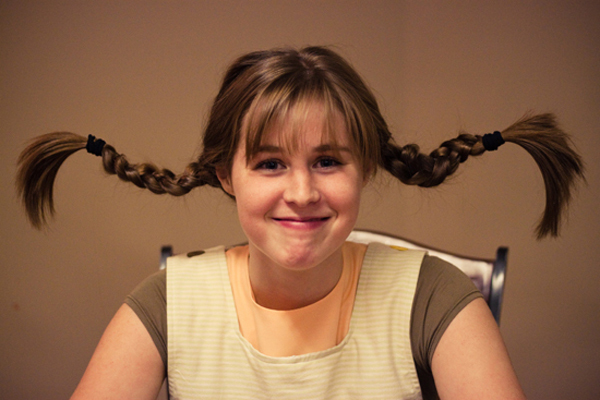 My cute cousin Andrea recreated Pippi. Are you a creative costume maker that plans ahead? I wish I was, ah... maybe next year. How are your costumes coming, planning anything spectacular? I love the power couple with the cell phone. What a cute idea! bahahahahaha!! that first photo made me laugh out loud!! what an adorable young family halloween team. love these ideas. i need more ! omg, rachel, these are hilarious!!! hahah, love the 80's power couple! aaaww!! I love the costumes as well the perfect couple..God Bless you..
Snuggly Blankets is one of the premier sources for Animal Skin Blankets. We are also selling Animal Skin Blankets online. For more information please visit our website. I dressed up as Pippi in middle school. I remember it being last minute decision and had my friend draw red freckles on my face and braid my hair with wires inside it from the art department. One of my favorite halloween costumes.